This itinerary is suitable for those who wish to delve into the theme of the collecting that flourished in Florence between the late 19th and early 20th centuries. The tour passes through the “treasures” of some of Florence’s most : the Stefano Bardini Museum, the Horne Museum, the Stibbert Museum, the Salvatore Romano Foundation, the Bandini Museum, the Palazzo Davanzati Museum, and the Casa Rodolfo Siviero Museum. Stefano Bardini was one of the leading figures in the late 19th-century Florentine antique market. His clients included the most famous collectors of the time, through whom he spread around the world the passion for the Renaissance and “Florentine” taste. 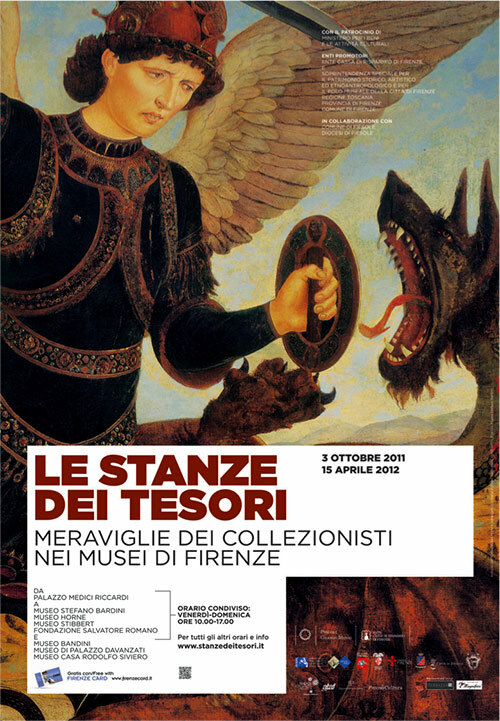 Bardini was not alone in spreading this passion; the other contributors included Elia Volpi, to whom the foundation of the Palazzo Davanzati Museum is owed; Frederick Stibbert, who restored a villa on the hills of Florence, today the Stibbert Museum, adapting it to the display of applied-art objects, weapons, porcelains and costumes in halls set up according to a theme; Herbert Percy Horne, whose headquarters in the Via dei Benci Palazzetto are now the seat of the Horne Museum; and lastly, Salvatore Romano, who put together the collection in the Santo Spirito Refectory. At that time either the collector’s house or the antique dealer’s showroom, these distinguished places are today among the richest, most interesting and most eclectic museums in Florence.